Last week the crew on board of the International Space Station detected what seemed to be ammonia leaking into space. Liquid ammonia is used to keep the Space Station at the right temperature by pumping it through external radiators to lose excess heat. 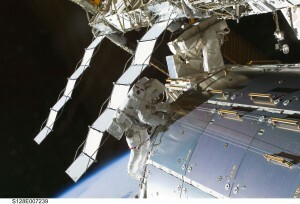 As many will know by now, the problem was solved during an unscheduled spacewalk over the weekend. When these sort of things occur, keep in mind that space is an extreme environment where everything changes constantly. If mission managers come and tell me my launch needs to be delayed for whatever reason I would take this in my stride. I understand this all too well. Things like the ammonia leak do happen, they have happened in the past and they will happen in the future. Humans have never built a machine that is perfect. One of the best pieces of advice someone gave me when I was recruited as astronaut was to never fall in love with a mission as only one thing is certain in space missions: things can always change. The leak is an example of one of those things you cannot plan: it just happens and there may always be events that are out of our control. A launch may be delayed or even our return to Earth. In this job we have to see difficulties as opportunities: the problems we face can be seen as possibilities to develop new procedures or to test whether trainings performed on Earth are appropriate for a real-life situations in space. During our spacewalk training we are taught to resolve situations such as the ammonia leak. 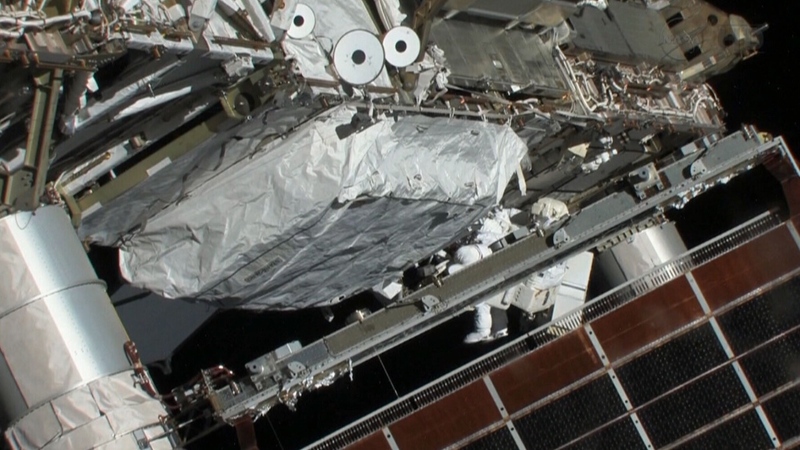 We are taught to carry out inspections, to take photos, to perform checks and to make repairs such as those astronauts Thomas Marshburn and Christopher Cassidy did. If a problem occurs it is an opportunity to assess if the training we received is sufficient to work safely on reparations as complicated as the one carried out by my colleagues last weekend. It is all part of the job! The Space Station is not an arrival but a starting point of what is yet to come: a place where we can test technologies and procedures that will be used for future space exploration possibly beyond low Earth orbit. Good luck for your launch on may 28th! Have a good time up there! I guess ‘expect the unexpected’ has to be your mantra. train, train and train some more. The ISS is the start of a wild and fabulous roller coaster ride of amazing things for you. Make sure to take time to capture and store memories of all the amazing things. You have worked and trained so hard – now enjoy the ride. Is there any particular event during Expedition 36/37 you are really looking forward to the most? Thank you so much Luca! See you on ISS. Best wishes from everyone in Ireland! Una missione storica: il primo astronauta Italiano a effettuare una EVA. Un grandissimo abbraccio da un astronauta mancato.